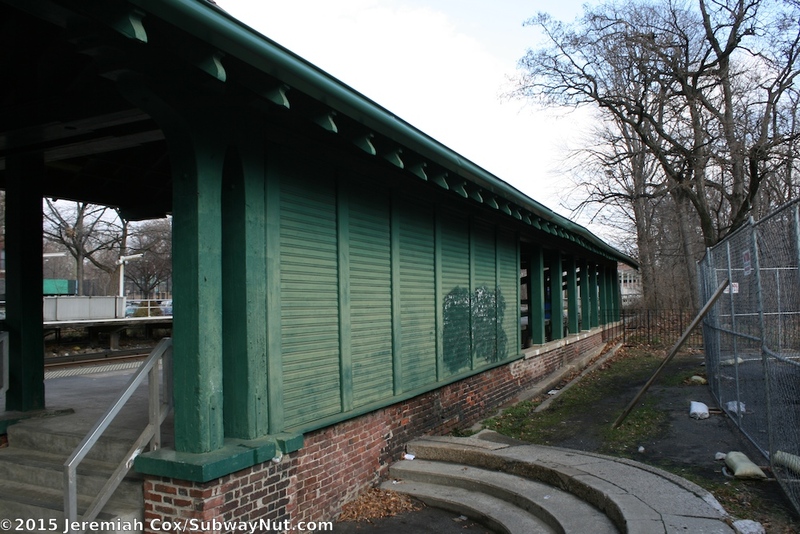 Botanical Garden is a Harlem Line station as the name says directly across the street from New York Botanical Garden. 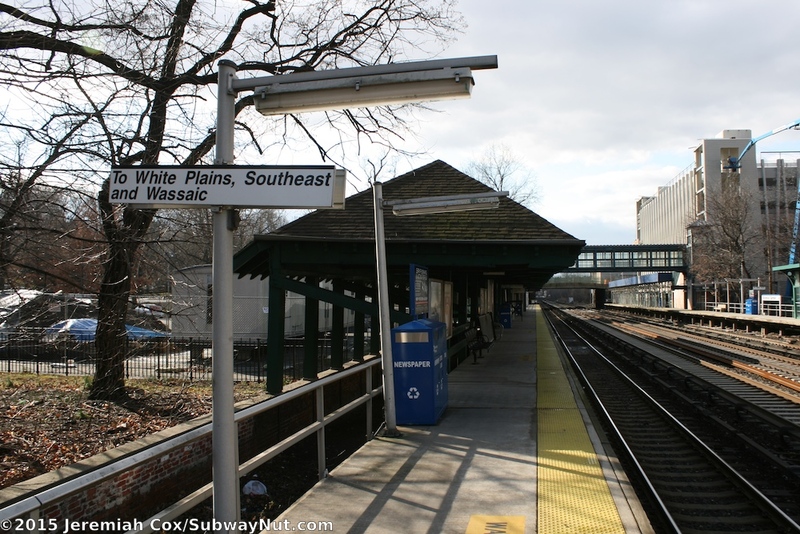 The station receives an interesting mix of riders from local community residents (often reverse commuting to White Plains) during weekdays to being mobbed by day-trippers from Manhattan (and northern suburbs) on nice weekends to visit the Garden using Metro-North's one-day getaway package. 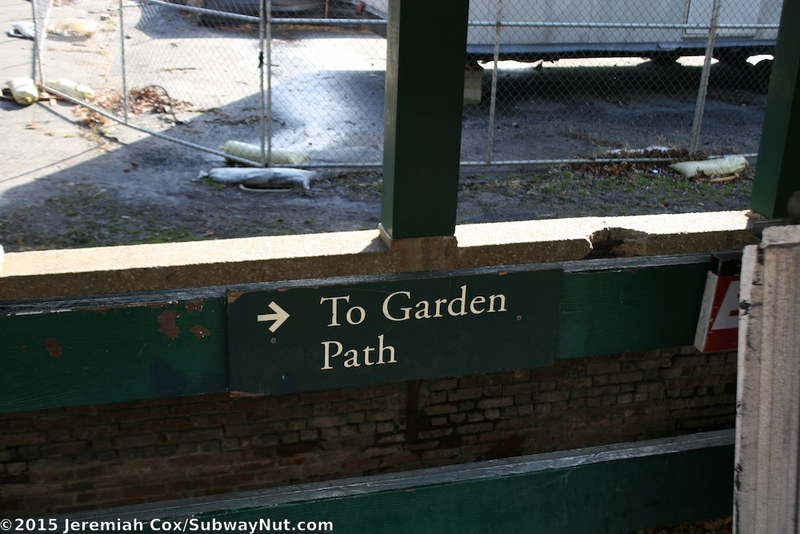 The gardens uses Metro-North in its marketing as the easiest way to get to the gardens. 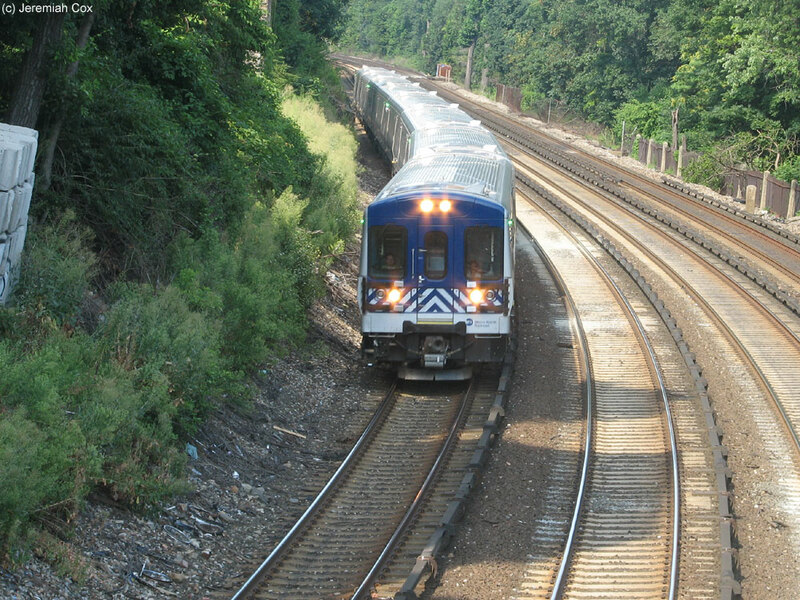 Train service to the station is half-decent: off-peak service to the station (and other stops in the Bronx) is every half-hour during weekdays but on weekends is only hourly (with the other half-hours local train to North White Plains running express in Bronx only stopping at Fordham), this only hourly service seems like a shame on weekends at attracting discretionary riders to use Metro-North to visit the gardens. 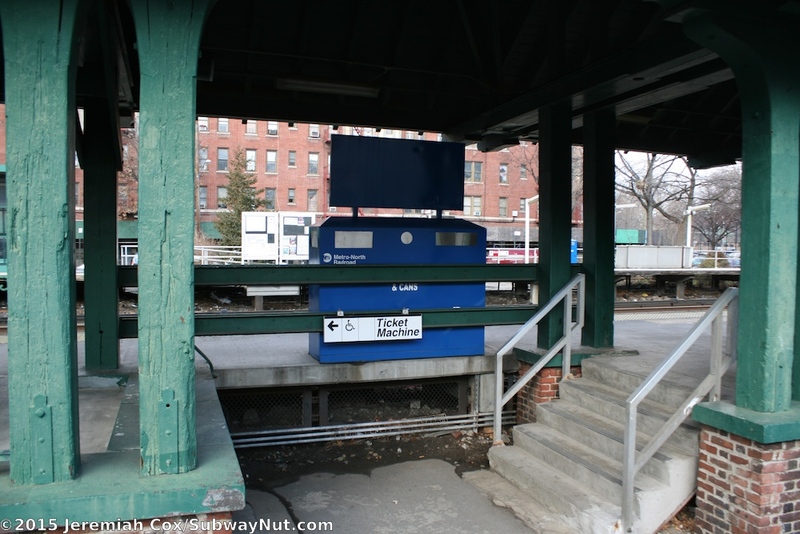 New Haven Line trains have never served the station but it there is no reason the trains that serve Fordham also couldn't, perhaps on weekends only for garden visitors. 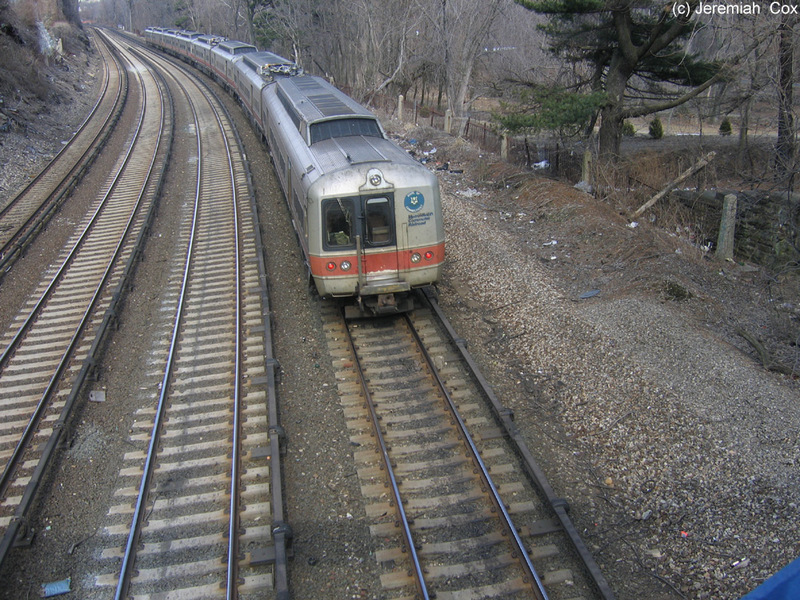 All trains have to run via the local track between Wakefield and Melrose to stop at Fordham's side platforms. 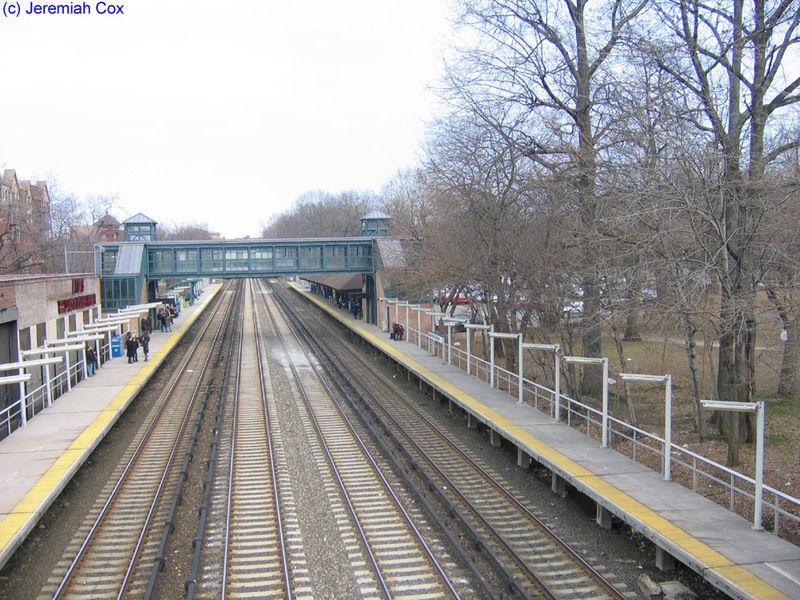 The station has two side platforms for the four-track line and is the only local stop in the Bronx that can accommodate a full 8-car train (Fordham also can, 0.6 miles away). 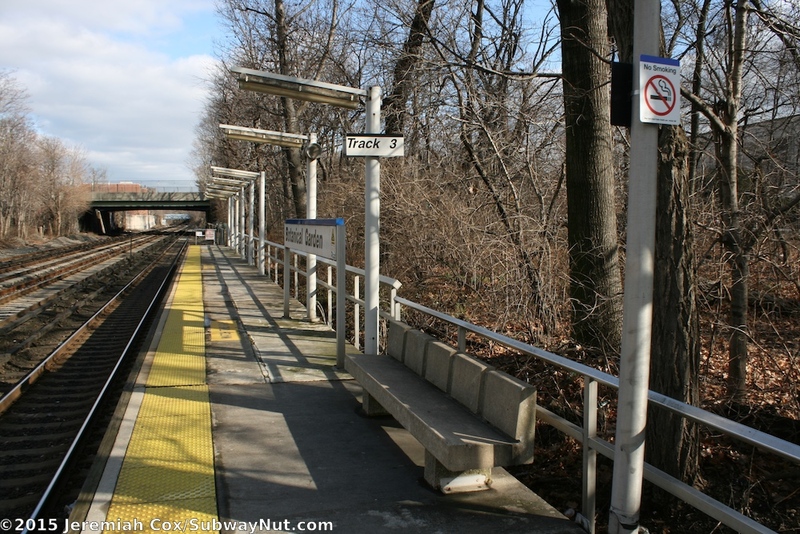 These platforms begin at the overpass of Bedford Park Blvd, although no direct access is provided from this overpass and run north. All access is at the middle three cars of the station platform and provides an interesting contrast of gardens and city. 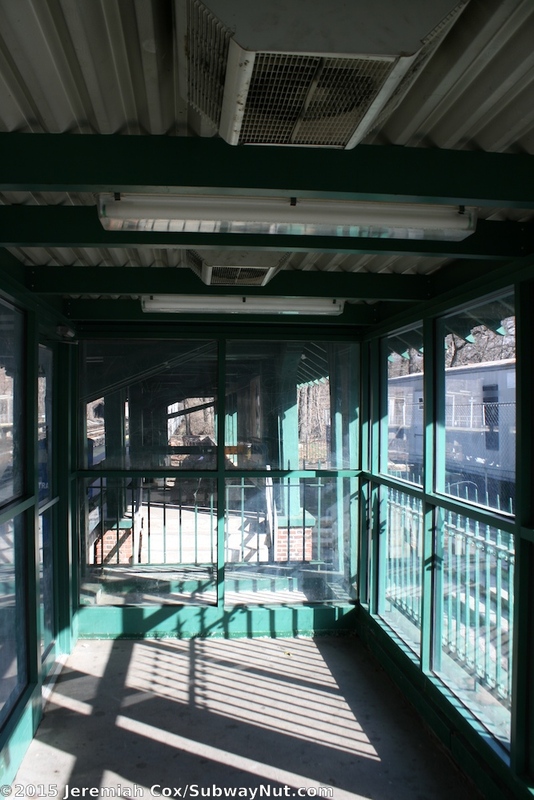 Here there is a modern overpass built between 1997 and 1998 (after reviewing old timetables for when the station became fully accessible and ADA compliant). 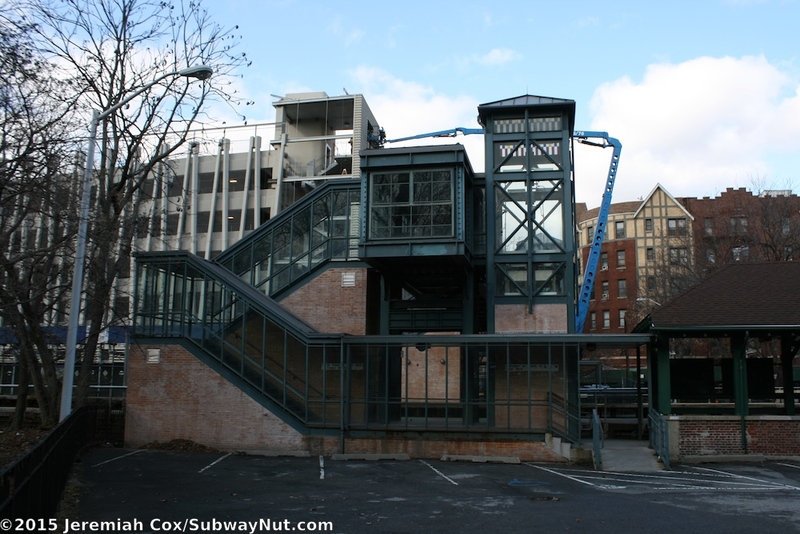 This overpass is fully enclosed with green-framed glass walls and brickwork around portions of the elevator shafts and staircases that lead up to the overpass. 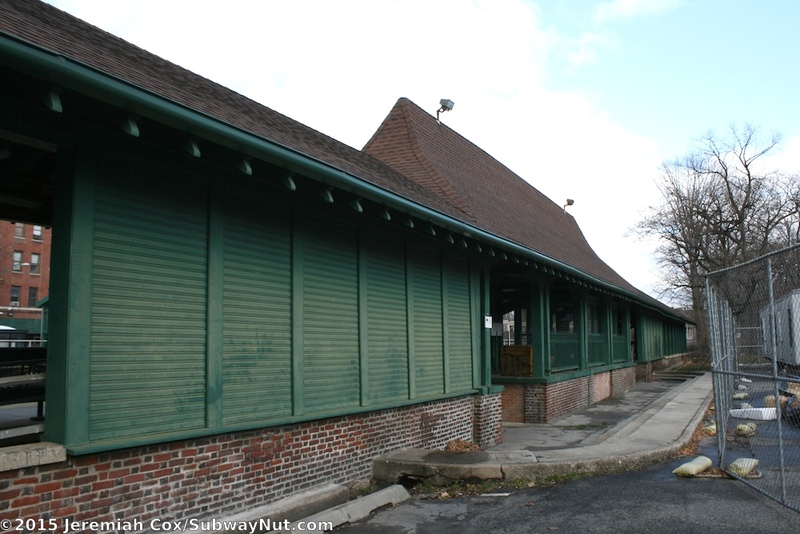 Along the northbound platform is a wide green shelter structure with a highly-gabled wooden roof that covers about half the platform. 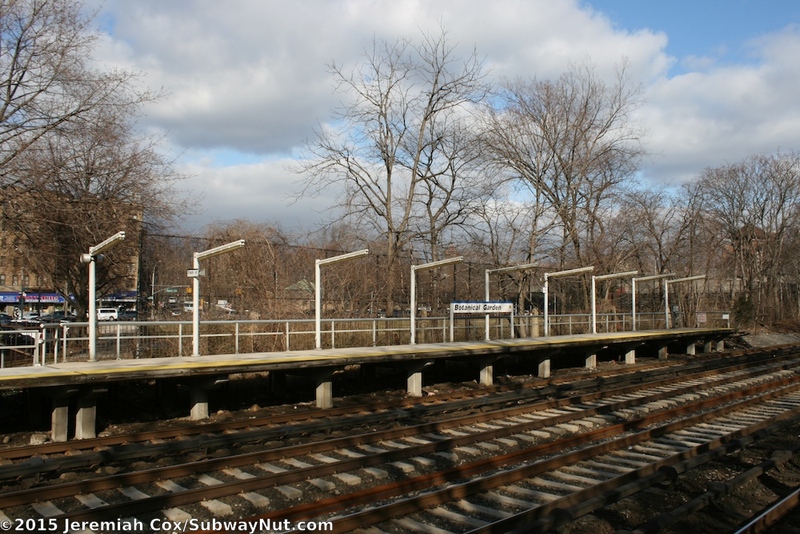 It seems when low-level platforms had to be added in 1970 for the new Metropolitan Cars the new, high-level platform might have been built around it. It is fittingly painted green. Ramps and staircases lead off it to a wide car loop with a grassy mid-section. 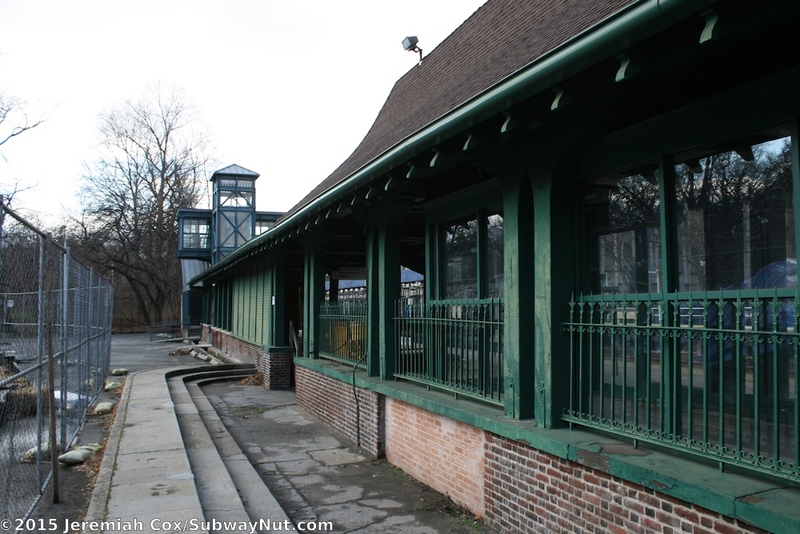 This leads directly out to Southern Blvd (also partially renamed called Kazimiroff Blvd) across from the Mosholu Gate into the gardens. 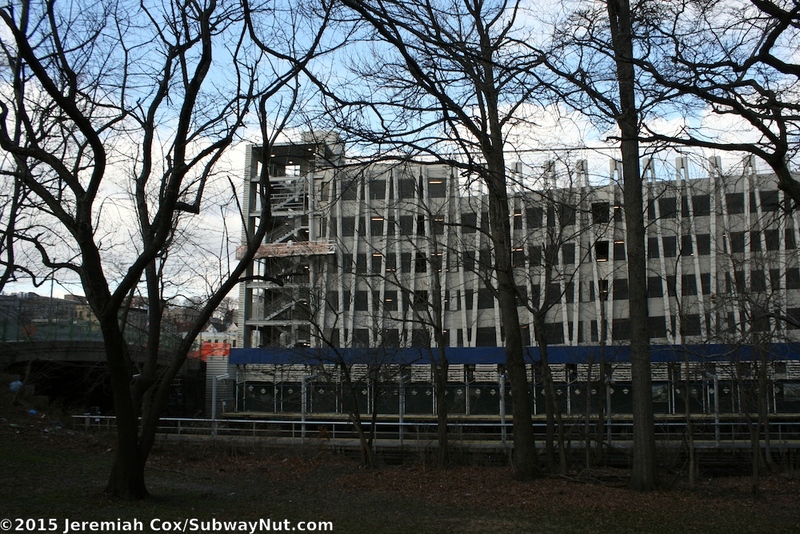 This car loop was built in the station's former parking lot before the parking garage opened in 2012. 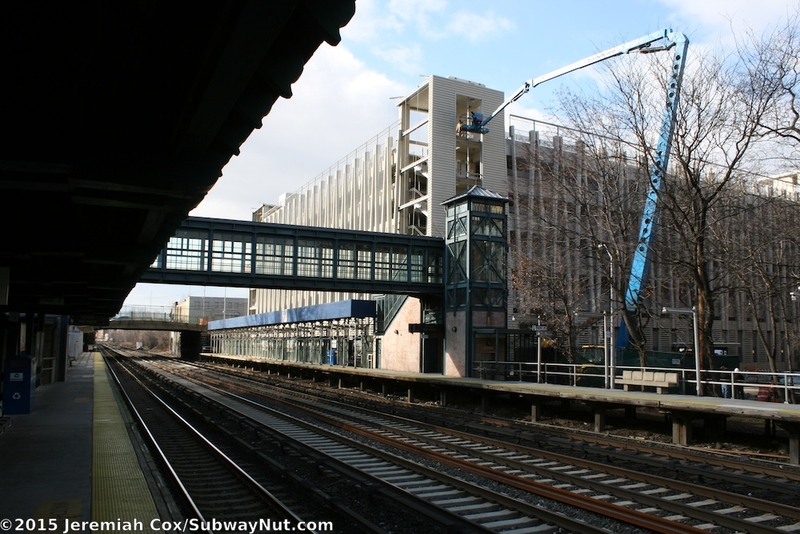 The New York-bound platform is on the “city” side of the station. 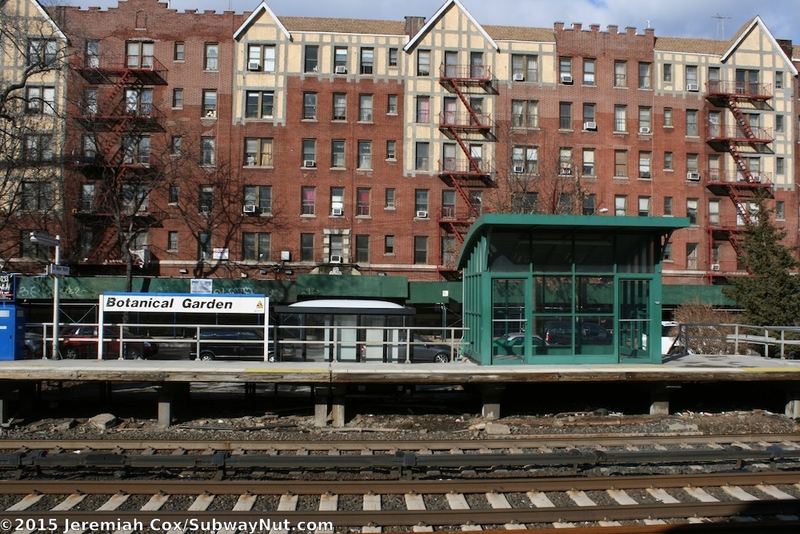 4 story row-house tenement buildings are the backdrop along a street that loops down from Webster Avenue that Google calls Botanical Square in the middle of the platform. 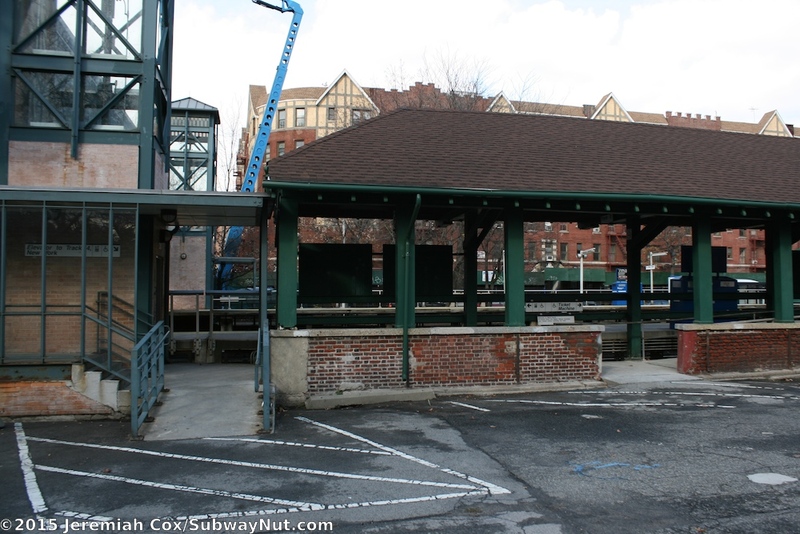 This platform contains a single green shelter structure for waiting passengers, and has a few staircases and a ramp down to street level. 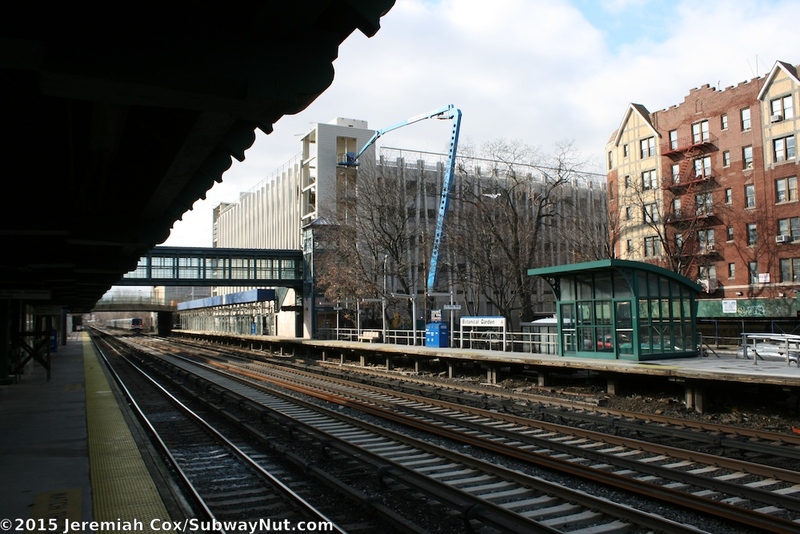 At the southern end of the New York-bound platform, taking up the full area bounded by Bedford Park Blvd, Webster Avenue and Botanical Square (the platform had scaffolding over it during construction) is the new Peter Jay Sharp Building/New York Botanical Garden Parking Garage. The 8-level 825-space garage is made out of concrete with attractive sides designed to let ivy grow over it, called exterior vertical gardens. The garage was built to be an intermodal facility receiving specially designated park & ride public funds (and has a LEED silver rating, don't ask me how that's possible for a parking garage) attempting to serve commuters during weekdays with $9 early bird (pre-10am) parking rates, and more expensive $12 weekdays, $15 weekends parking for Botanical Gardens visitors (at least the price is expensive to discourage garden visitors from driving). 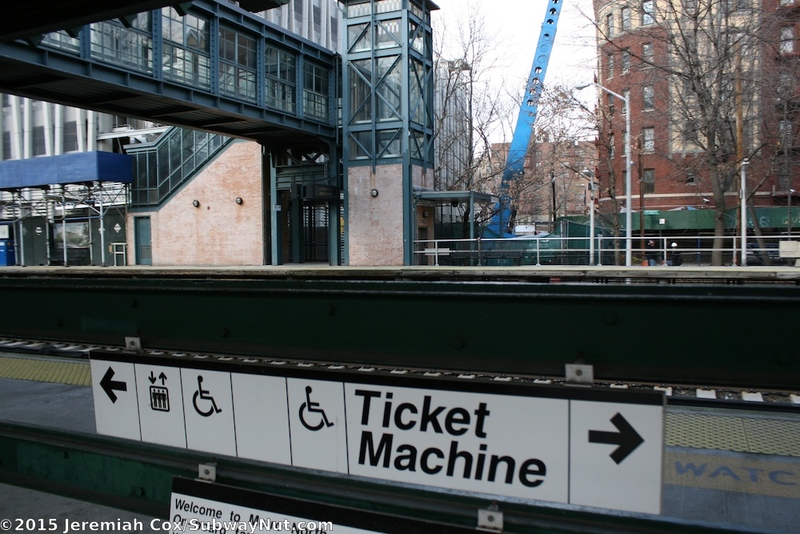 Monthly commuter parking is a reasonable $85 during weekdays (including a Gardens Grounds pass) and $180 24/7. 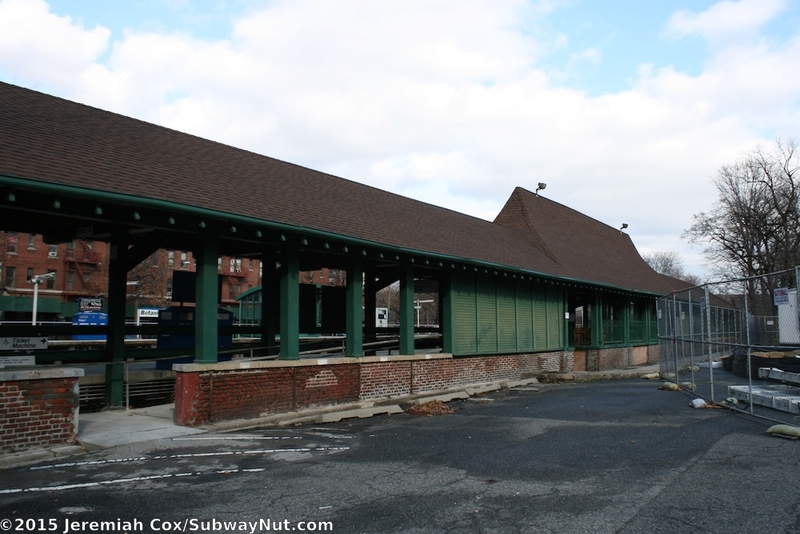 The Bronx Zoo has attempted to use intermodal funds to build a similar garage (with bus service, since no rail station is that close) but has been struck down by the MTA since no one would park & ride there to take a bus.